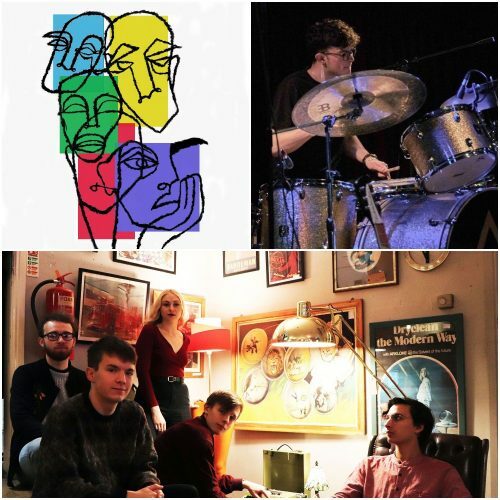 College Collection 2019 – Jazz Leeds presents the first of two afternoons, each with three stunning new jazz groups from the final year of the Leeds College of Music BAJazz course. The Emily Kent Project combines contemporary jazz with distinct grooves inspired by musicians such as Pat Metheny, Bobby Mcferrin and Norma Winston. Although her demo shows a duet of herself and piano, her set will also make use of a full band and other instrumental features, combining to bring their audience a performance of world inspired Jazz music. Quintet featuring tenor, trumpet, piano, double bass, piano and drums. Expect swing, contemporary bebop heads and modern arrangements of American Songbook compositions which attempt to experiment with timbre, time feel, dynamic contrast and group improvisation and communication. Yaatri is a five piece jazz crossover quintet formed in Leeds in 2018. Their blend of complex composition and ethereal soundscapes captivates the heart as well as the mind. Influenced by the emotive quality of the Scandinavian jazz tradition, the momentum of the rhythms of India and the energy of rock and roll, their music has a strong sense of purpose and journey.